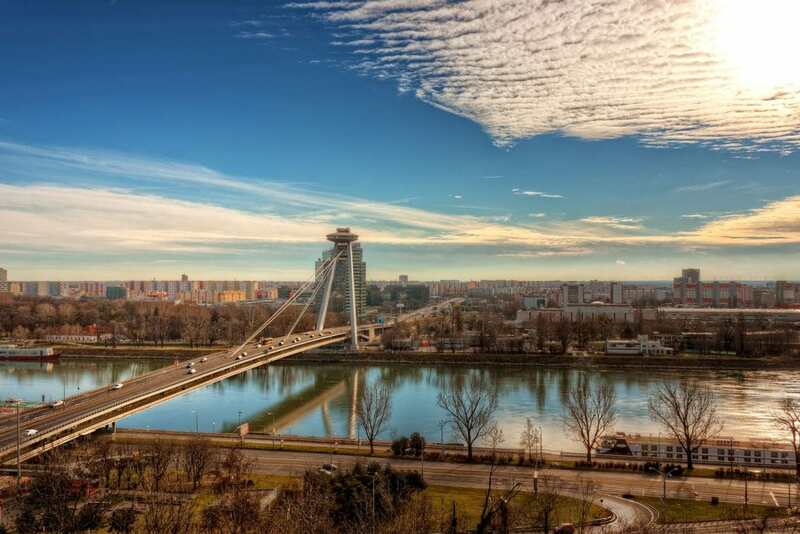 The Bridge of the Slovak National Uprising (Most SNP or Nový most) is the most popular part of Bratislava’s Skyline apart from the castle. This new bridge over the Danube connects the Old Town with the district Petržalka which is located right at the Austrian border. Special about the bridge is the so called UFO which sits high up on the bridge pillars on the southern end. 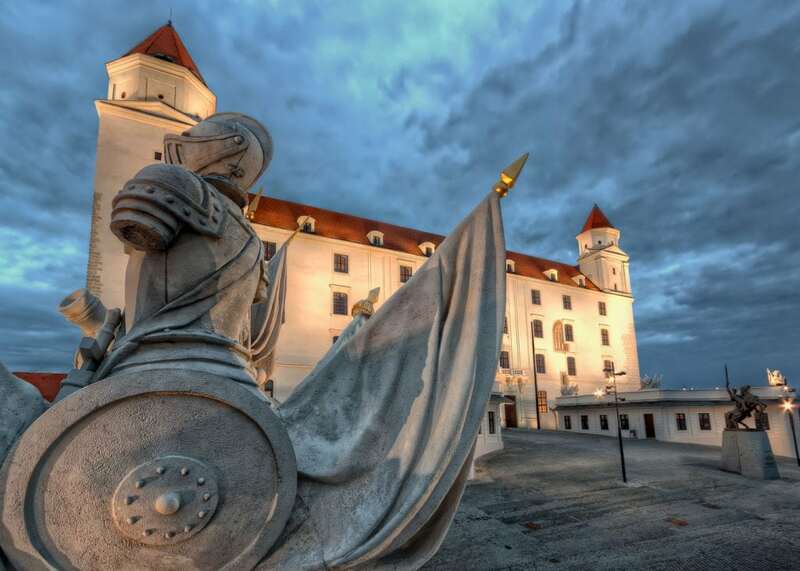 Bratislava is famous for its castle and the fact that you can see it from almost everywhere in the city. 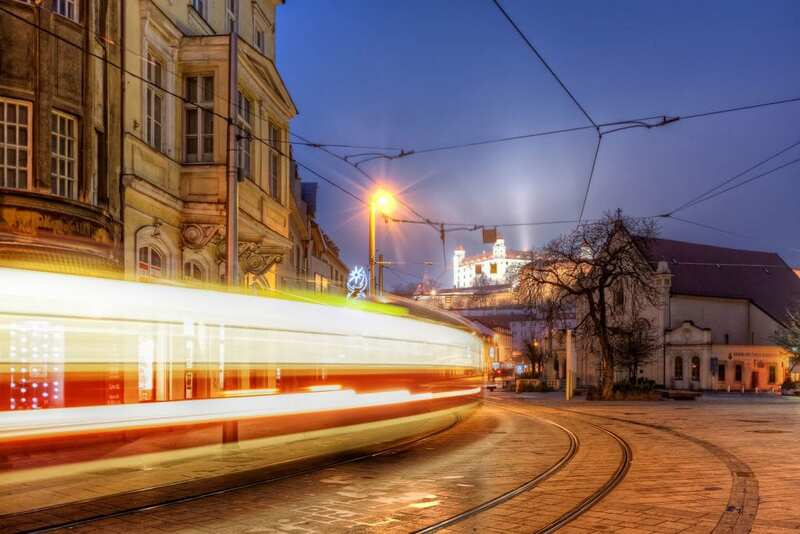 This photo was taken at the Hurban Square (Hurbanovo námestie) which kind of worked as a hub for us during our stay. As the weather wasn’t our best friend, the solution could only be “Blue-Hour-Photography”.